It's that time of year again when we're all buying advent calendars for the family, ready to start the official Christmas countdown and here at Unique Young Mum, it's only tradition that I show off some of my favourite advent calendar's with you all! 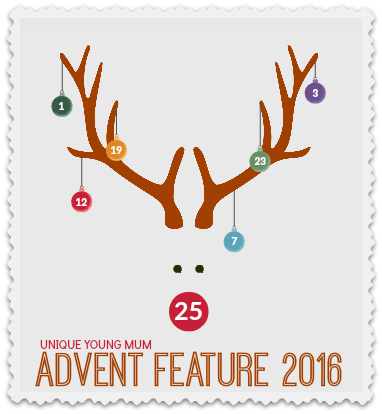 My Advent Feature 2016 edition is full of advent calendars, featuring yummy edible ones to playful ones and there's even one for the whole family to enjoy! I hope you enjoy it as much as me! From Disney's latest blockbuster hit Finding Dory to the much loved children's show Paw Patrol, Kinnerton have a range of advent calendars available to buy this year. Spud has his eye on the Pokemon one and is hoping to wake up to it on December 1st! Available at various retailers, designs may vary. Find out more at Kinnerton. The nation's favourite candle maker haven't left fans disappointed this year, with two calendars to choose from, fans will have a tough choice on their hands. The Pavilion (RRP £29.99) host a tea light or votive candle in a range of nine fragrances, whilst the other houses the same, but in a choice of seven fragrances. Find out more at Yankee Candle. This festive countdown advent calendar from Talking Tables is the ideal reminder of how many sleeps to go until Christmas day. 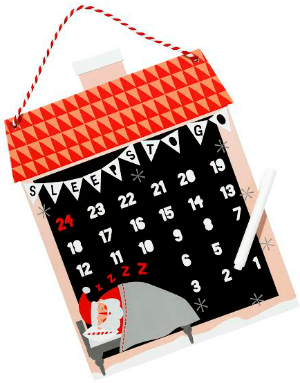 The calendar features a sleeping Santa with all the days in December waiting to be crossed off with a chalk pen. Hang it up anywhere around the house with the red & white string and make it the perfect addition to your lead up to Christmas day! Find out more at Talking Tables. Nothing is more exciting to children then counting down the days until Christmas with an advent calendar, but bringing out your own handmade personalised Advent Calendar each year will make it even more special! With 24 pre-cut square felt pockets to sew onto a cotton panel, no hemming needed, and the cotton panel already marked to show you where to place the pockets, you don't need to worry about measuring things with this easy challenge! The only tricky thing is deciding what to put in the pockets: sweets, stickers, messages, small toys - choose whatever you like! Each kit makes one 80 x 40 cm Advent Calendar. Find out more at Button Bag. Colourful, cute and crammed with seasonal surprises, this tree-house advent calendar is an adorable alternative to counting down the days till Christmas. 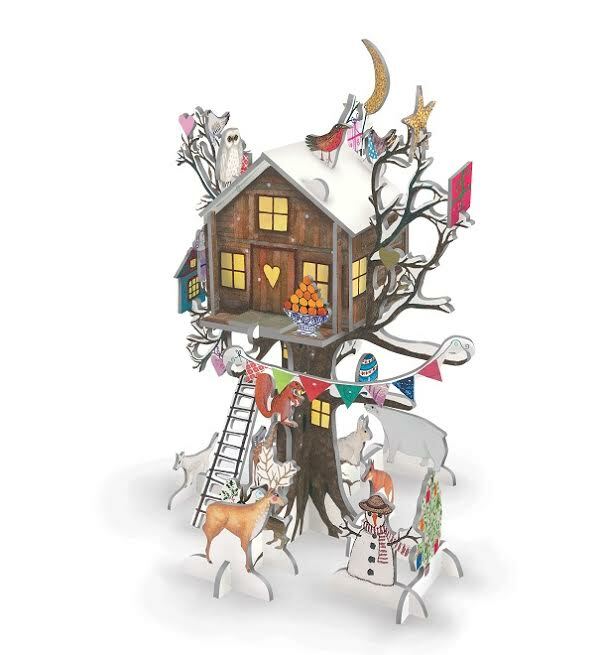 Simply push out the slots from the printed card sheets to form a simple 3D tree-house, then as each day passes push out one of the numbered seasonal shapes and add them to your tree-house until completely decorated! So why not support a fantastic charity and bring a unique way of advent into your home this Christmas. 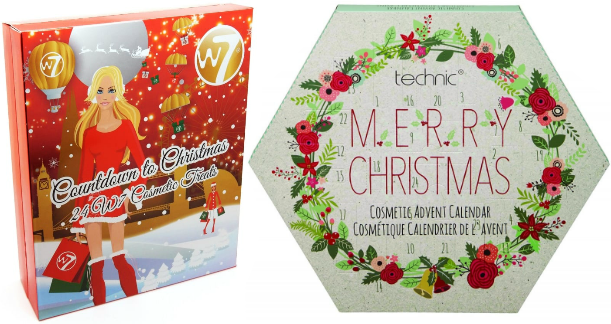 Just My Look are spoiling beauty fans this year with a huge range of advent calendars available to buy! With prices starting from just £9.95 (more info over at Just My Look) these calendars are perfectly suited for cosmetic fans! With daily advent gifts ranging from cosmetics to accessories head on over to the website for the full range! Visit Just My Look for the full advent calendar range. This alternative advent calendar comes crammed with enough beard oils to see him right through to well after Christmas, which means his beard is going to look and smell amazing every single day in December. 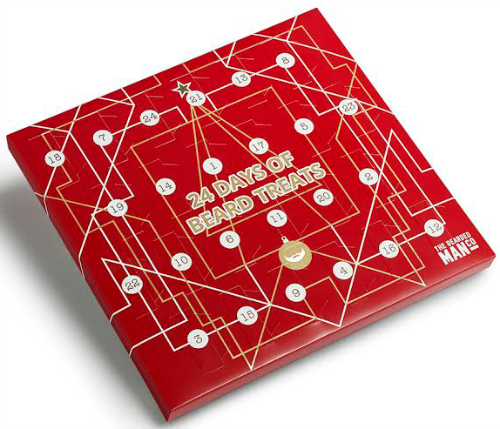 Bearded fans will love this ultimate selection of miniature treats in this luxurious calendar. This calendar contains the entire range of twenty four different scents, of which includes three NEW and exclusive scents only available within the advent calendar. Which will be his favourite? Find out more at The Bearded Man Company. 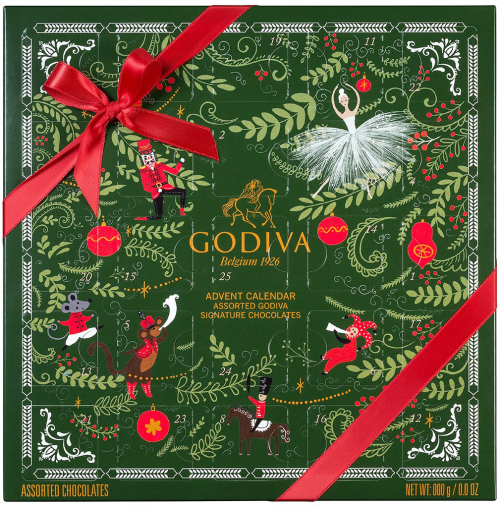 A selection of 25 of Godiva’s exquisitely flavoured chocolates have been elegantly presented in this classically inspired Advent Calendar. Excite the lead up to Christmas with these mouth-watering seasonal and core delights. Featuring Moelleux Caramel; a rich chocolate flavoured caramel, Godiva's Iconic Tourbillon Praline; a chic, Art-nouveau swirl filled with their signature hazelnut praline. The Eclat Feuilletine, which boasts the appreciation of crispy feuilletine pieces that contrast sublimely with smooth praline along with Lune Passion, a fruit infused white chocolate ganache coated with divinely dark chocolate. Find out more at Godiva. Illustries Countdown to Christmas advent calendar is an engaging activity book designed to keep little (and bigger kids) amused throughout the month of December, while creating special family memories along the way. Beautifully designed and stylish to display, it features a daily nativity activity. From making homemade gingerbread men and decorations to Christmas colouring and snowman building (with or without snow! ), there’s plenty for craft-loving kids to create. Jolly jokes, a ‘Quizmas’, movie night, carol singing and a treasure hunt will bring festive fun for the whole family to enjoy, while letters to Santa and Christmas wishing pages add to the advent excitement. Find out more at Illustries. 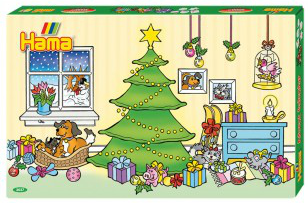 Hama's 2016 advent calendar is a perfect way to keep children entertained in the busy festive month! It contains approximately 5,000 assorted Midi Hama Beads and the following five Pegboards: Small Square, Small Round, Small Hexagon, Small Heart and Small Star. 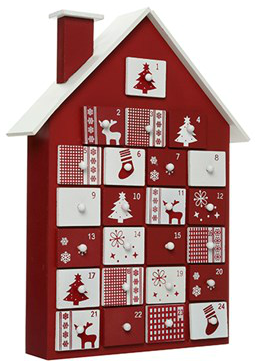 The advent Calendar also contains designs inside each window to create 24 different Christmas-themed decorations - one for every day in December up to Christmas Eve - making it ideal for Christmas! Also includes six Midi Bead Supports, Ironing Paper and instructions. Find out more at Hama. What's better than a advent calendar in December? The answer is a personalised advent calendar of course! Simply select which calendar you'd like out of four (personal images, plain chocolates, Kinder chocolates in small, or Kinder chocolates in large) upload your favourite image/images to the online design tool, and then select your preferred choice of delivery. I personally have two of these calendars ready to be opened on December 1st and I can't fault their quick turnaround process and the quality of the products! Roll on December 1st! Create your own and find out more at Fotoinsight. LEGO® haven't left their fans disappointed this year with another three fantastic calendars to add to the range. Introducing three new calendars different from last year's ranges, LEGO® fans have the choice of picking from LEGO® Star Wars (75146), LEGO® Friends (41131) and LEGO® City (60133) each containing 24 windows to last fans up until Christmas eve! This DIY calendar is based on the traditional Scandinavian advent calendar, in which every day the owner opens a draw to discover a surprise, gifted to them by a loved one- from sweets and chocolates, to beauty products, and even jewellery for an extra-special present! It is fully customisable, so each day brings a new treat, and can be reused each festive season to create a personal Christmas tradition. Most importantly, all profits from the advent house go towards Cancer Research UK’s life-saving cancer research. Buy your own and find out more at Cancer Research. Last but not least, one of my personal favourites - Cadbury's! Cadbury's have to advent calendars out this year to please all of us chocolate fans! 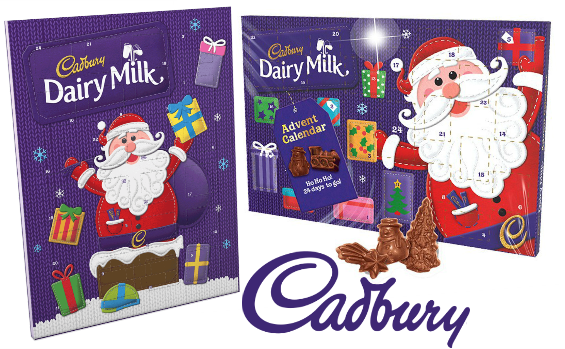 First up we have the £2.19 advent calendar featuring Santa, containing 24 windows each containing a solid Cadbury festive chocolate. Secondly, at just under £5 we have the larged advent calendar, again containing 24 windows with solid Cadbury milk chocolate and Cadbury chocolates with vanilla fillings. Find out more at Cadbury.